An institution cannot run without a timetable, with every event being allocated ample time to avoid being forgotten. This timetable helps the organization to make time for every event and carry out all the required tasks accordingly within the set time frame. A budget plays a critical role in allocating every expense it’s equal finances and leaves out a substantial amount for which you can save. To meet your financial goals, you need a budget. By developing a budget that you can maintain over time, you definitely reap the benefits of building wealth through saving, cutting expenses and subsequently eliminating your pending financial obligations. Budgeting is simply a process of creating a money spending plan. This spending plan helps you prioritize your needs, taking into consideration what is really necessary and cutting out what you can do without. The saving process requires discipline. Without a budget, your savings goals are nothing more than a wish list that you can never actualize. By drawing up a budget you are creating budget planner, you figure out your long-term goals and work towards them. If your initial goal was to buy a house, you can save enough with a budget which will eventually make your dream a reality. Many people shop with credit cards. Unfortunately, many of them overuse their credit cards without even realizing it. Credit cards have the tendency to motivate consumers to shop more than what they really need. With time,the consumer falls deeper into debt. By creating a budget and sticking to it you know exactly what you need to spend on and how much you need to put aside. It is not uncommon to wake up to surprises some better than others. These surprises also have the tendency to pop up when you are already going through financially hard times. You may be expected to meet medical bills due to abrupt sickness or injury or unexpected funeral expenses. These are some of the expenses that are unforeseen yet need to be met urgently. A budget can save you from this financial turmoil. Your budget should include an emergency fund for unforeseen circumstances. Everyone needs a realistic emergency fund. You do not have to build it up in one day – just start small and build it up slowly. A budget acts as your financial partner who helps you realize how critical it is for you to save for the future. While planning a budget, it is imperative that you set aside a portion of your income for your retirement. It is wise to sacrifice a little now as it will be worth it down the road. Eventually, taking vacations during your retirement years would be great fun. a budget helps you develop wise spending habits to manage your finances now and for the future. You should strive to keep your budget current and flexible to accommodate changes in your situation. To keep to a budget requires sacrifice and self-discipline. 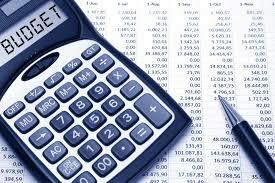 A budget calculator is an interactive self-help tool for an individual who is willing to consider budgeting. These calculators do not, however, provide investment advice. They can only help you calculate and understand your income and the necessary expenses. Using a budget calculator is quite easy. Simply follow a few basic steps. Write down all the money coming in. Record all your monthly expenses and put them in categories. Your monthly debt payments and non-monthly expenses such as insurance premiums. Property taxes should also be included in the list. Allocate funds for non-predictable expenses such as your emergency funds. After entering the necessary information in the budget calculator, use the summary section of the calculator to find out whether or not you are still in a position to meet your financial objectives. This helps you know whether you need to adjust your spending to accommodate your expenses. Once you have finished, you can save your budget information and review every month based on your financial needs. Despite having the knowledge on the importance of making a budget, it is imperative that you know the basics of how to make a budget that will work towards meeting your financial objectives. A budget should be simple to understand and highly flexible to accommodate adjustments from time to time. Planning a budget is quite simple. You can draft it on a piece of paper. To have control over your finances, it is imperative that you plan your budget as early as possible. You can decide to plan it a couple of days before the month begins. This gives you a head-start on how to spend and save your money accordingly. When planning a budget, any money you receive during the month should be written in your income category. Your income may include income from side jobs, paychecks, income from a small business, child support and freelance work. If you are married, then you and your spouse should record both of your income when planning a budget towards a common goal. For people with irregular income such as small business owners, when you sit down to make a budget, it is imperative that you list your expenses in order of priority. Basic items such as food, shelter and utilities,mortgages and other home bills are given priority. Number your list according to the importance and write down beside each expense the amount you want to spend. 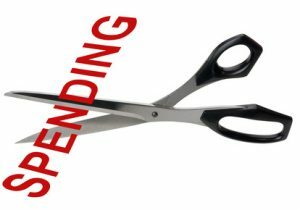 make a working financial plan, you must be willing to cut back on spending. By making your priorities right, you know what to go for and what to leave behind. Spending plans usually vary from one month to the other. This is because expenses are not the same every month. This is the reason why you should have a flexible budget that can accommodate future alterations. In your budget, write down every single expense you have to incur. It is imperative that you divide these expenses into categories of priority. This helps you to allocate for each and every expense accordingly.Utility bills such as electricity bills, water bills and gas, home bills such as rent or mortgages or car insurance are good examples of expenses you need to familiarize with. Allocate funds that would help you meet all your expenses in that month. As you look forward to covering all of your expenses, debt payment is an important part of relieving your expenses. Set out an amount of money that will help you settle your debts in the long run. To cater for emergencies, you should also allocate funds that would take care of medical bills or death in the family. Thanks to technology, there are software programs like Microsoft Excel and You Need a Budget that is readily available to budgeters. It is easy and fast to develop a highly flexible and long-term budget. The information is quite safe as compared to the one drafted on a paper. Planning a budget is one thing and sticking to it is another thing. If you fail to follow your financial plan and choose to ignore your financial targets, no one can help you to stick to your plans. That is why you must be self-disciplined and determined to maintain the right financial path. << Consolidation loans: Are They Suitable For Debt Relief?